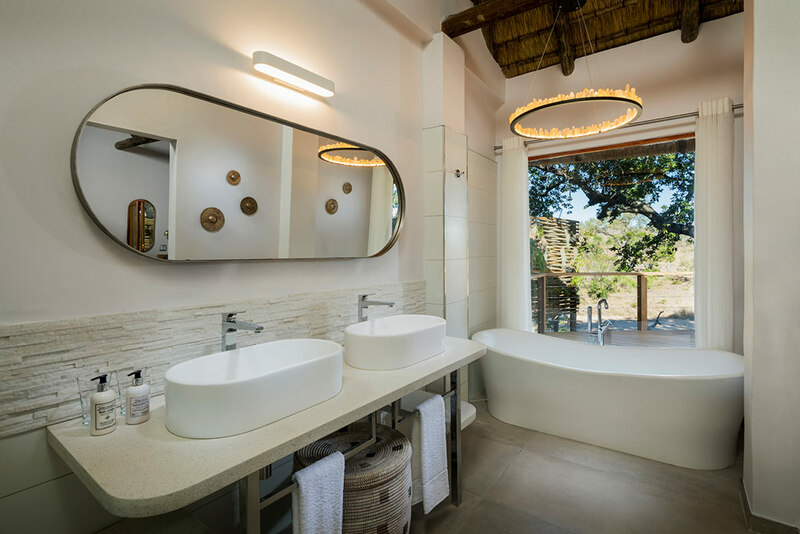 We’re thrilled to finally be able to share with you some snaps of our brand new Safari Suite….we think you’ll agree it’s pretty special! 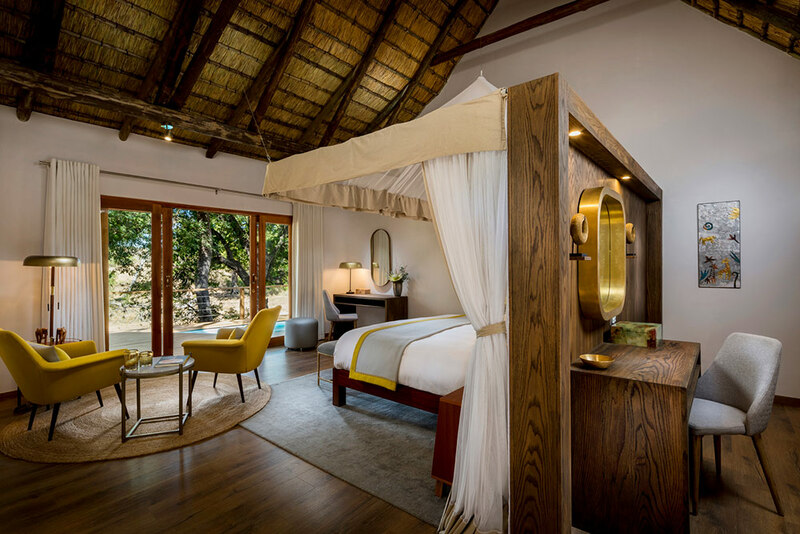 This stunning and spacious new suite is a luxurious hideaway for two or four guests (if you book the adjoining new Safari Room too), located next to the Main Lodge it is accessed through its very own entrance which opens up into a private walled garden with a boma fire pit. Take a step into the large lounge area with high ceilings and large glass doors opening onto a private decking area. 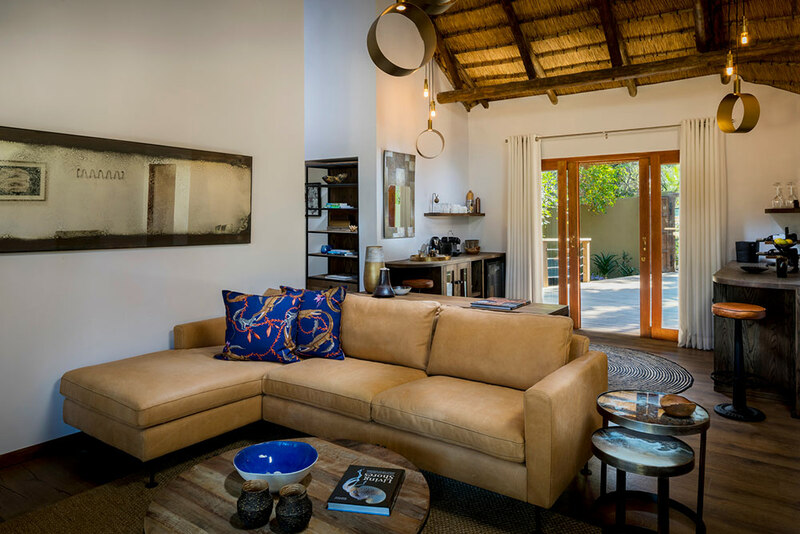 Taking inspiration from the surrounding environment, interior designer Franci du Toit has brought a little piece of the bush and its wildlife into the interiors. You will spot birds, monkeys and elephants throughout, from the fabrics to the lighting, artwork and photography. Can you spot the animals in the cheeky monkey-shaped lamps? Perfect for a private breakfast the large outdoor deck has a Jacuzzi plunge pool, outdoor shower and a dining table for up to 8 guests. 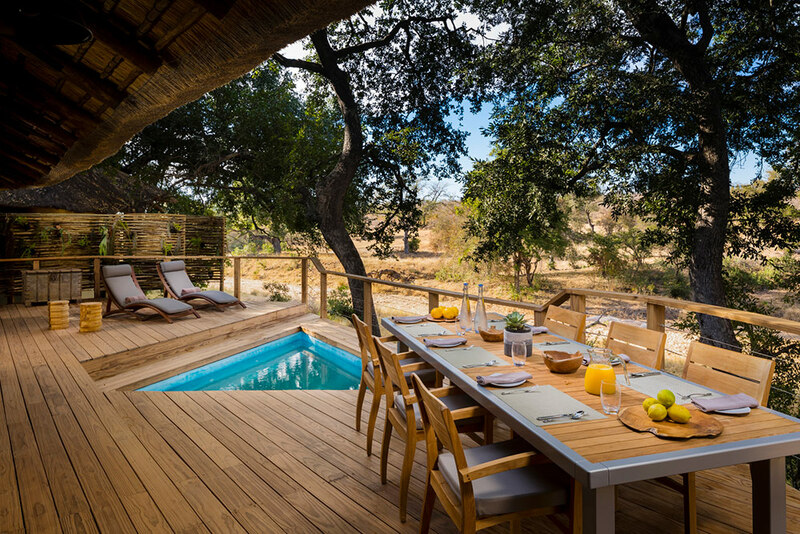 Just imagine sipping your morning coffee looking out at the wildlife passing by. Bliss! 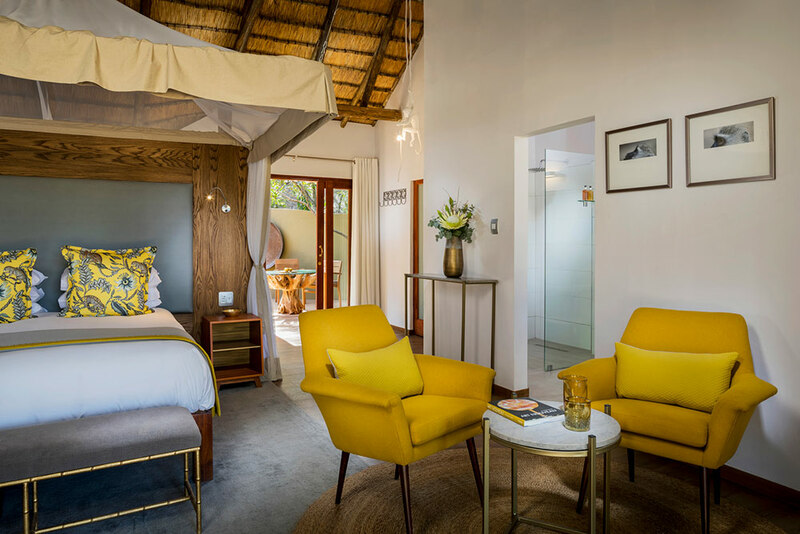 That’s not the only new addition to Safari Lodge, the Safari Room is a spacious bedroom for two guests which can be booked on its own or it can be interconnected with the Safari Suite – perfect for families! What’s more is that it’s connected by a secret door from the Safari Suite lounge to the Safari Room. 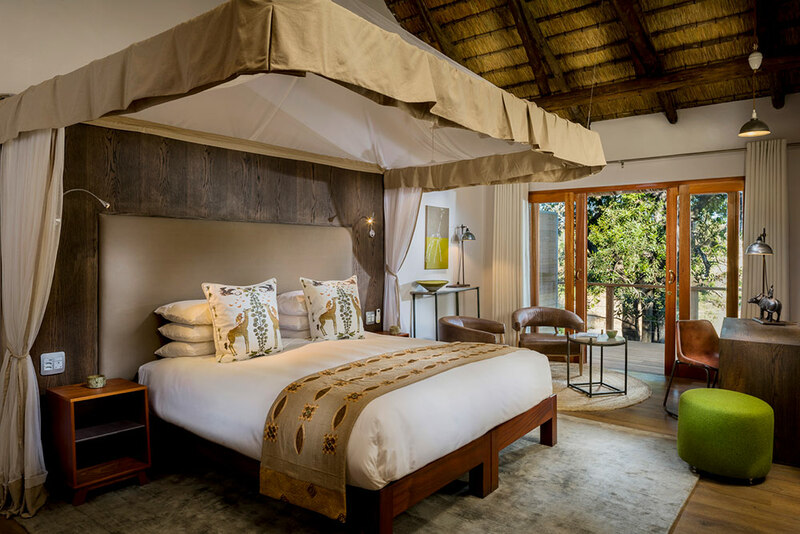 Rates for Safari Suite exclusive use start from ZAR 68,800 based on 4 adults in two bedrooms. 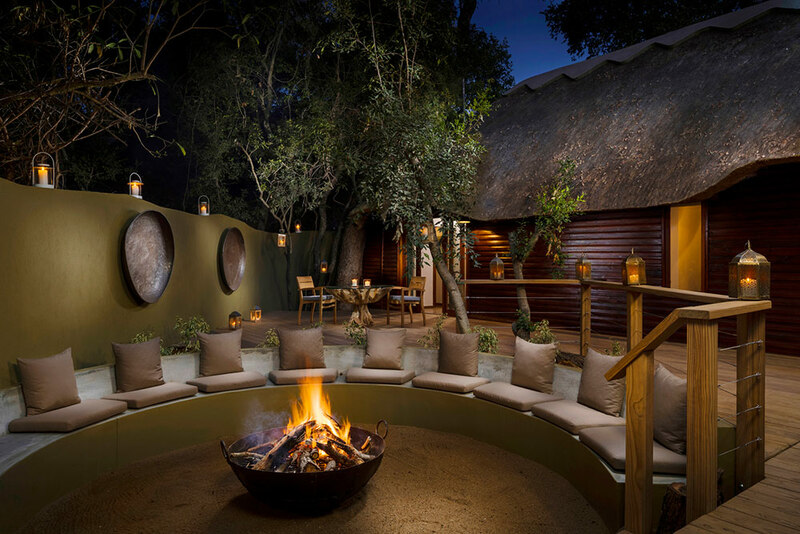 Rates for Safari Room start from ZAR 10,100 per person, per night based on double occupancy. 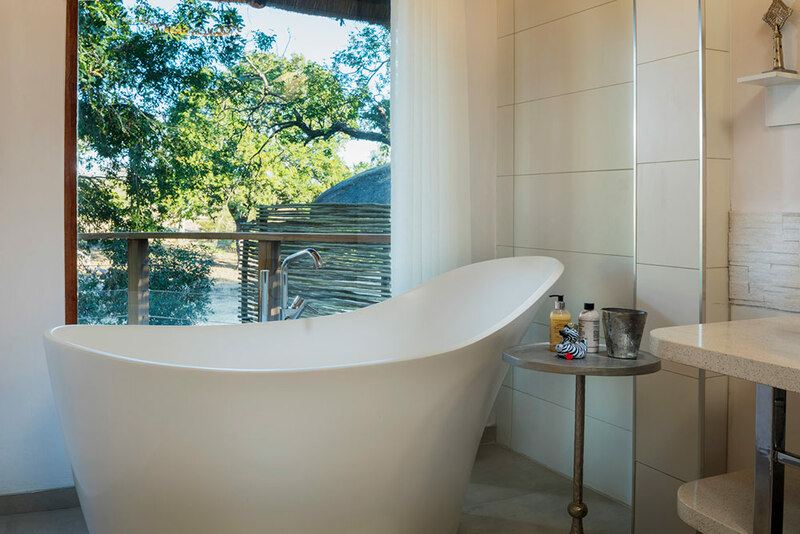 All rates include accommodation, twice daily game drives, all meals and drinks, high quality wines and champagne, as well as our team of fabulous staff.